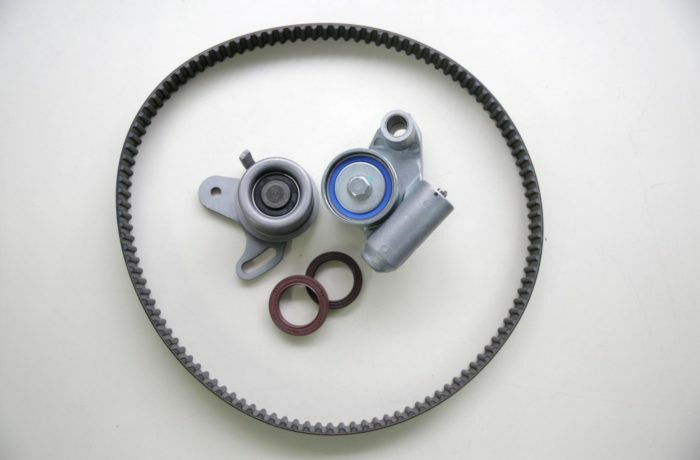 Most car owners drive around, blissfully unaware of the fact that a cam belt plays a vital role in the smooth running of a car. Cam belts keep the internal components of your engine turning in a synchronised order. If a cambelt breaks, it can practically destroy the engine of a car and cost you an arm and a leg to fix it (often more than the car is worth). A cambelt needs to be replaced normally at 100,000kms or 5 years, whichever comes first. Some Manufactures vary from 60,000 to 150,000. At Autoland, North Shore mechanic, we have seen a lot of cambelts break and we know how expensive it is to fix the damage caused by a broken cambelt. A typical repair as a result of a cambelt failure can be between $3000-$4000. Which is why they recommend that you get it regularly checked. “Like any other car part, cambelts wear out eventually, so it’s a very good preventive maintenance to replace your cambelt,” says Nick, who heads up Autoland, North Shore mechanic. What’s even more impressive is that we use Gates belts, the world’s most powerful synchronous belt drive system. For the past century Gates has been powering progress as one of the world’s leading parts manufacturers in the automotive industry, working with virtually every Original Equipment Manufacturer worldwide to design products for new vehicles as they are being developed. These strong relationships together with there commitment to continuous innovation enable us to offer a complete line of OE quality products for the Aftermarket. From Timing Belts to Micro-V Belts, Tensioners and Hose, you can be confident every time we sell or install Gates. Instead of charging by the hour, at Autoland, North Shore mechanic we tell customers upfront what the job will cost. Check out our cambelt replacement specials. If you’re looking for a mechanic on the North Shore to talk to you about your car’s cambelt or cambelt replacement cost, get in touch with these car service Auckland specialists. Mairangi Bay, Sunnynook, Sunset North, Meadowood, Wairau Park, Rothesay Bay, Pinehill, Campbells Bay, Forest Hill, Murrays Bay, and Rosedale.